Bruce Buehrig will be our February 2017 guest speaker and will give a program entitled Hosta Gardening. For more than forty years Bruce Buehrig has been growing plants on a steep, shady hillside. Erosion issues created by heavy rains have forced him to seek solutions to uncontrolled rolling water. Using rocks, perennials, conifers, trees and shrubs, he has curbed most of the water into planned channels, and has discovered a hobby he enjoys sharing with others. 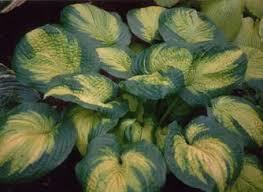 Bruce uses hostas extensively in his garden. He is a co-founder of the St. Louis Hosta Society. His garden has been featured in two National Hosta Society conventions. He has taught classes about the culture of hostas at the Missouri Botanical Garden and several local nurseries. Members of the Greater St Louis Daffodil Society are excited that Bruce has found time in his busy schedule to help us understand and appreciate Hosta in the Garden.